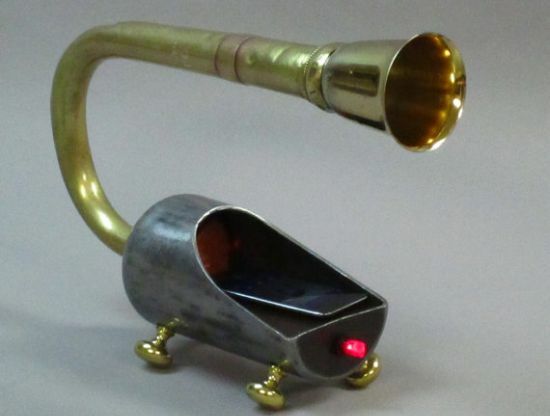 You may have seen some of the most unique Steampunk speakers in the past, but here is a simple yet functional Steampunk cradle that apart from allowing quality sound also nestles your portable music players elegantly. Looking more like a gramophone, the one of a kind Steampunk speaker works with any type of music player that has a headphone jack. 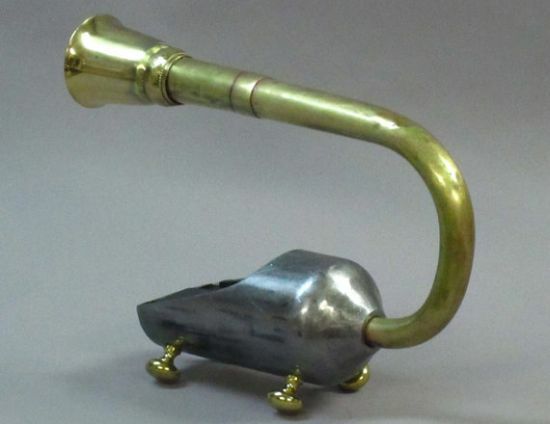 Playing music through the brass horn, the gramophone speaker runs on a battery. 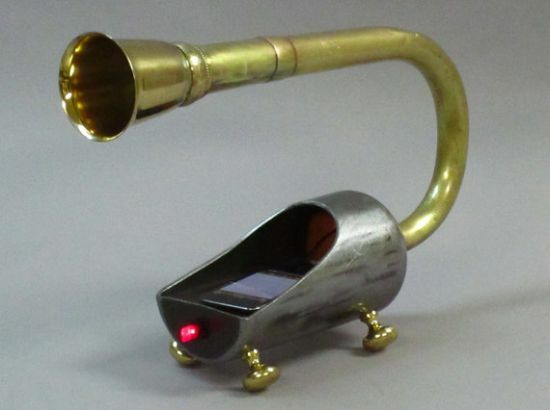 Made using brass and steel, the Steampunk speaker places you iPod/iPhone & MP3 safely in the cradle while playing the music. Measuring 4″ x 17″ x 12″ n dimensions, the $420 Steampunk Cradle is sure to give a classic look to your interior decoration.